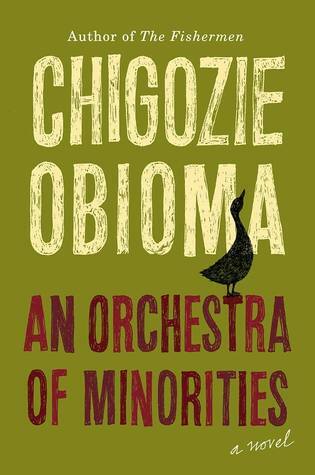 A heart-breaking and mythic story about a Nigerian poultry farmer who sacrifices everything to win the woman he loves, by Man Booker Finalist and author of The Fishermen, Chigozie Obioma. A contemporary twist on the Odyssey, An Orchestra of Minorities is narrated by the chi, or spirit of a young poultry farmer named Chinonso. His life is set off course when he sees a woman who is about to jump off a bridge. Horrified by her recklessness, he hurls two of his prized chickens off the bridge. The woman, Ndali, is stopped in her tracks. Chinonso and Ndali fall in love but she is from an educated and wealthy family. When her family objects to the union on the grounds that he is not her social equal, he sells most of his possessions to attend college in Cyprus. But when he arrives in Cyprus, he discovers that he has been utterly duped by the young Nigerian who has made the arrangements for him. Penniless, homeless, we watch as he gets further and further away from his dream and from home. An Orchestra of Minorities is a heart-wrenching epic about destiny and determination.